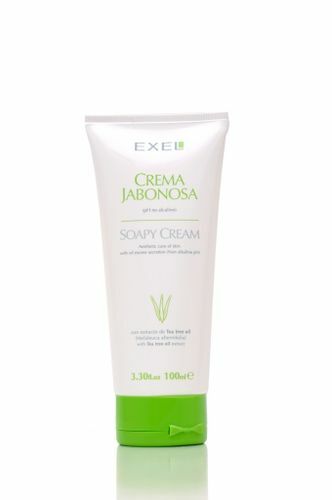 The EXEL Anti-Acne Soapy Cream is the perfect day and night time cleanser for oily and acne-prone skin. While regular tea tree oil is an unstable active ingredient and easily loses its properties if it is not properly formulated, this soapy cream contains stabilized tea tree oil which ensures optimum impact and benefits. Colloidal Sulphur is a homeopathic ingredient which reduces redness caused due to acne. Cetrimonium Chloride helps water emulsify with the oil and dirt on the skin to destroy and inhibit the growth of bacteria while perfectly cleansing the skin. It soothes skin while preventing irritation and over drying. Explore the entire range of Face Wash available on Nykaa. Shop more EXEL products here.You can browse through the complete world of EXEL Face Wash .